A party to celebrate the genuine Madernassa pear cider. On Saturday 20 May from 6 p.m. onwards the Maderé presentation party will be held at Eataly Monticello including food, drinks and live music with Gemelli Del Gol . A free event organized by Maderè in collaboration with Wine More Time and Eataly. A glass of your choice of either Maderé or pear beer accompanied by Roman focaccia bread baked on the spot for only 8,00€. And after, dishes made with Madernassa pears and much more! 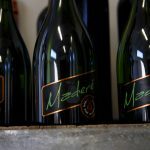 Maderé is the first and only cider made with Madernassa pears, born from the idea of two young men with the aim of enhancing the Roero and Guarene territory through an alcoholic beverage made with this delicious fruit. 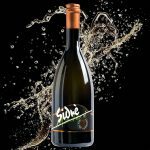 Maderè is a fresh and lively drink , created with passion and ideal for any situation. The Gemini del Gol is a project with a solid foundation that includes irony, love for music, being carefree and having fun. Enrico and Nicolas are two artists that have been around for some time and their entertainment deals with practically everything imaginable. Together, they decided to give birth to a project that proposes a repertoire of great international classics revisited in an acoustic style flavored with a bit of blues; entertainment that will allow you to spend an evening in the company of extraordinary songs that have made the history of music. Two guitars, two voices, a few jokes, a good glass of wine and the fun is guaranteed! Visit the event on facebook. You can book a table by calling 0173592424 or contact the Eataly information box directly.